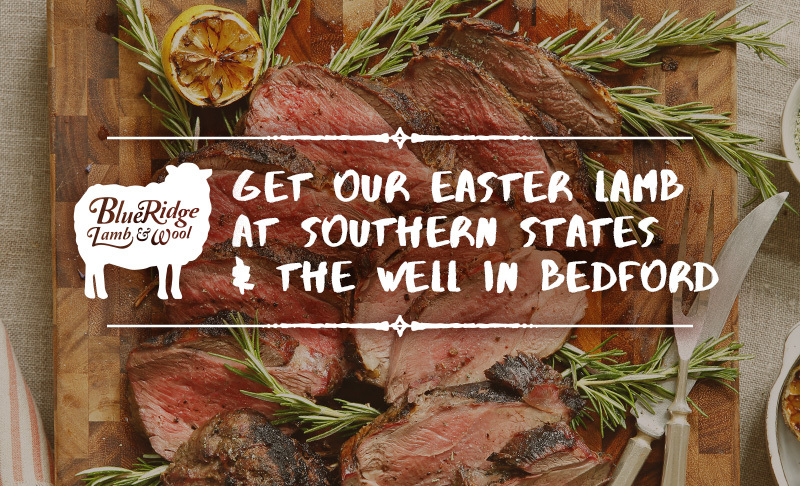 Our local, pasture raised lamb meats are now available for Easter and Passover at Southern States (Bedford Coop) and at The Well natural food store in Bedford, Virginia. They will be stocked with Frenched Racks, Lamb Chops and Legs of Lamb. Don’t wait to grab yours today!